Nick was born and raised in Newbury, Berkshire, attending Speenhamland, then Kennet schools. He worked as an apprentice with the Newbury dental laboratory Broughton and Tyrell, gaining a BTEC Diploma, qualifying him as a dental technician in 1987. Following his graduation, Nick spent a year traveling Australia. On returning to the UK he was offered a training position at the world-renowned Maxillo-Facial prosthetic department at Queen Mary’s University Hospital, Roehampton, London. During his training, Nick made Oral and Cranio-Facial prostheses for people who had undergone surgery for oral and/or facial cancer or trauma. During this time Nicholas gained his Higher National Diploma in Maxillo-Facial Prosthetics and Technology. Nick then spent a year at the Waikato Hospital in Hamilton, New Zealand. After which Nick was then appointed Chief Maxillo-Facial Technologist at St Richards Hospital in Chichester. Three years later Nick was offered a place at the University Of Western Australia Dental School, qualifying as a dental surgeon in 1999. 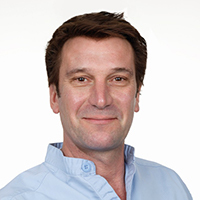 In 2001, Nick returned to Chichester this time to work in dental practice before joining the Briars Dental Centre in 2006. Although very much enjoying the variations of general practice Nick has interests in Implantology, Endodontics (root canal therapy), crowns and bridges.